Hey pretties, you know the advent of summers had given me a noticeable tan (not a summer glow) and I started with a new regime to replace the unpleasant tan with a naturally glowing skin. I have incorporated few new skincare products and Voila I thing I have done a great thing. Its been just a week with the regime and I have started noticing incredible results. 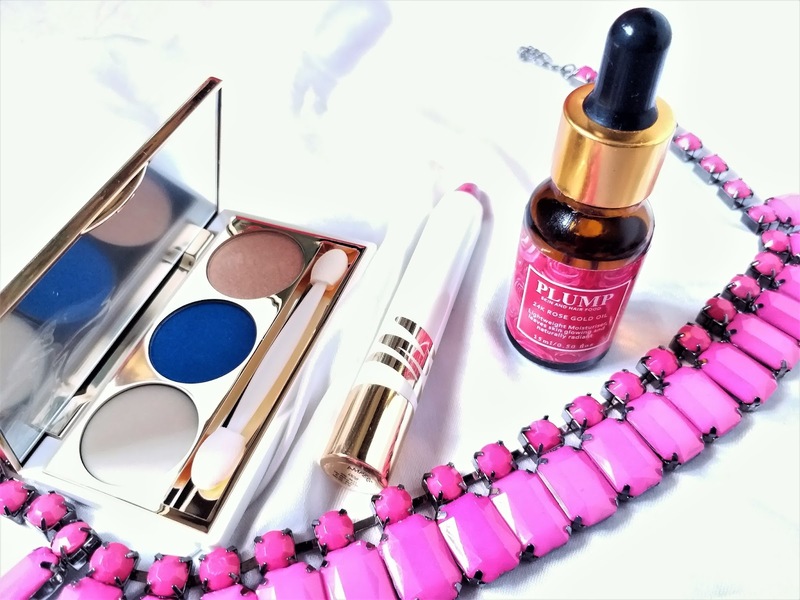 One of the skincare sets I am using is the Skin Brightening trio from Plumpskinfood Skin & Hair. 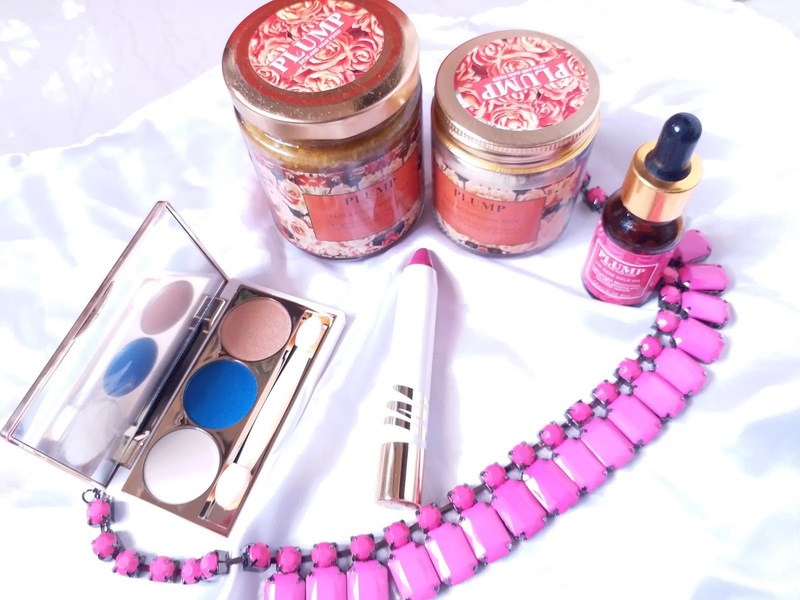 Plumpskinfood is a cruelty free brand ideated by Ms. Anjali Dhawan. 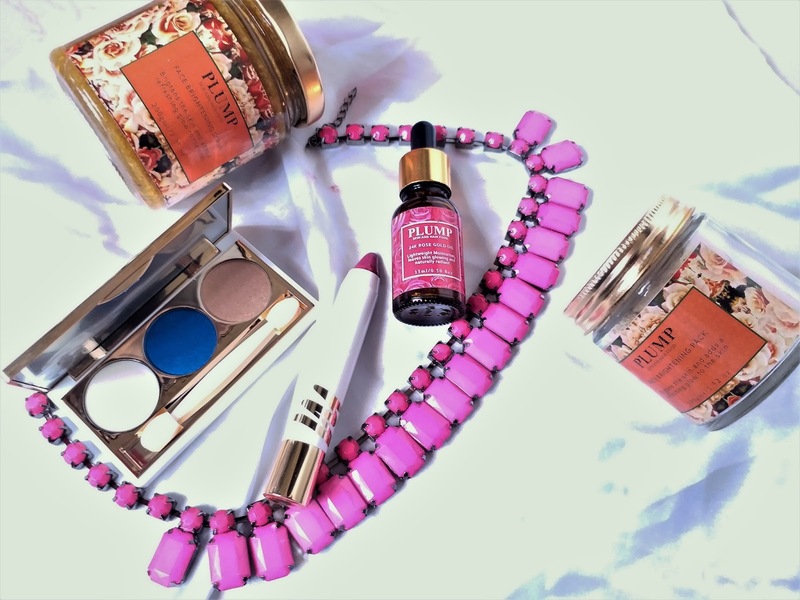 Her passion of creating handmade beauty essentials has given a luxurious range of products that are totally chemical free and that totally gives a makeover to the skin & hair. As I said my skin had tanned badly and had turned quite dull, Ms. Dhawan suggested a 3 steps skin regimen to me. 1. 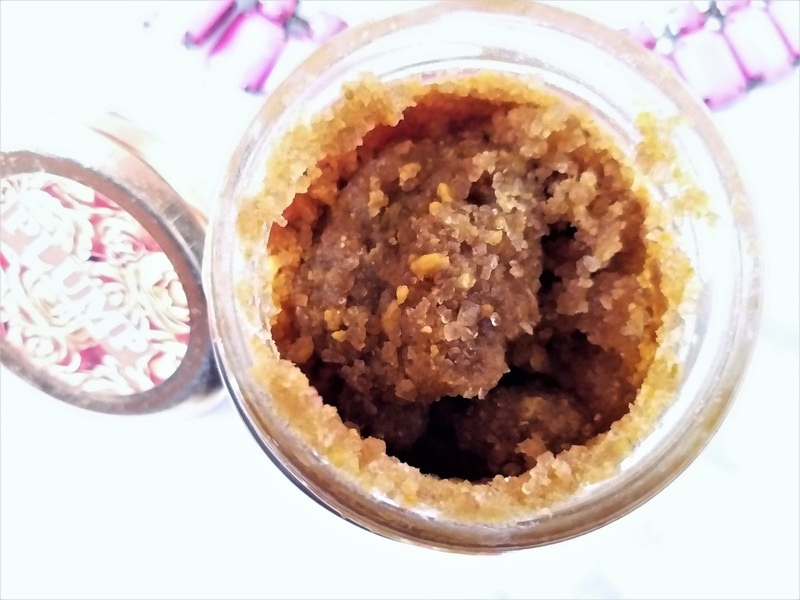 Plumpskinfood Face Brightening Scrub: This scrub is made of organic brown sugar, sandalwood powder, orange peel powder, lemon essential oil, Olive oil & honey. The very fragrance of the scrub has a citrus feel. It has to be applied on moist skin by gently massaging in circular motion with finger tips. Once it is rinsed off the skin is left renewed, bright and nourished. I can see a wonderful transformation and it is rare to find a scrub that gives such an effective result in just one use. 2. 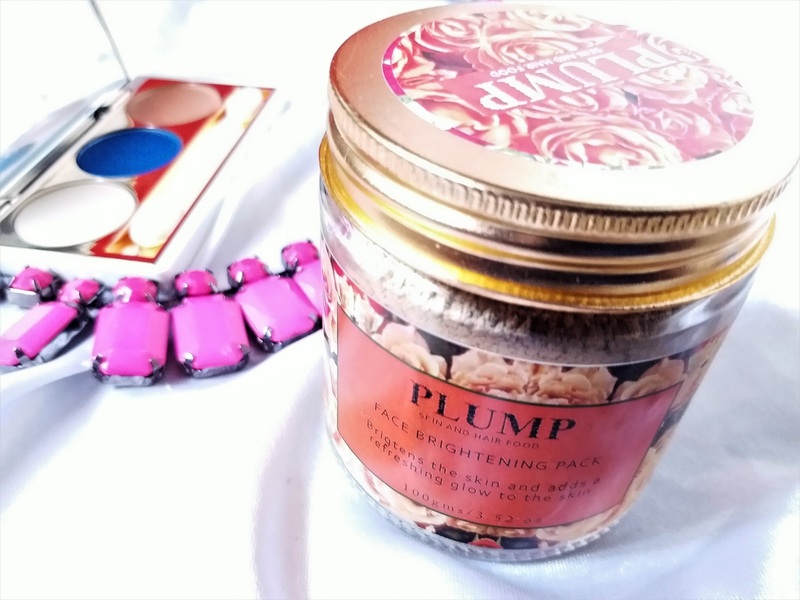 Plumpskinfood Face Brightening Pack: This pack is made of fullers earth, sandalwood, licorice, Kashmiri saffron. 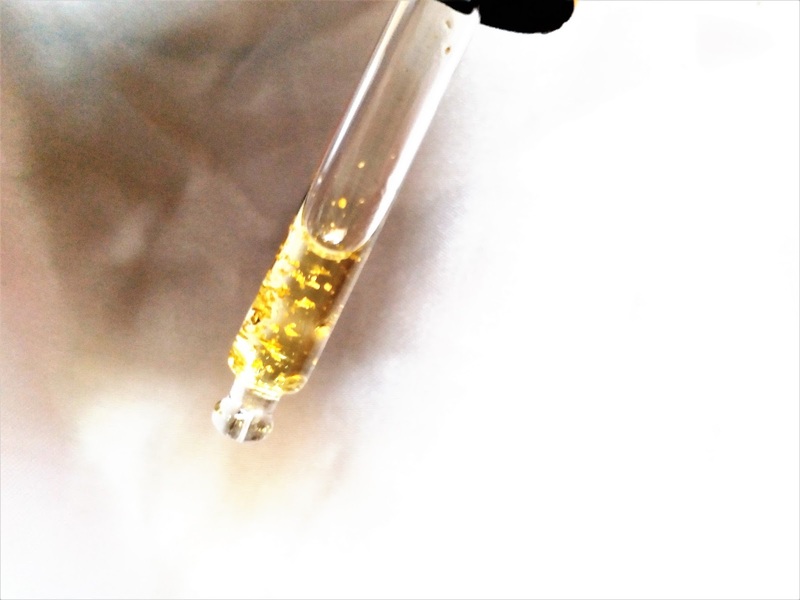 I mix it with a little bit of rosehip or argan oil and rose water. Then apply on the skin and leave for 20 minutes to dry. Once rinsed off a visible difference is noticed. The skin gets an even tone and a beautiful radiance almost instantly. The skin feels very soft and supple too. Ideally if used with the brightening scrub it can give a great result. 3. Plumpskinfood 24k Rose Gold Oil: This oil is one of the most beautiful looking skincare products I have seen. It has gold flakes inside. It is a very lightweight moisturizer and gives a beautiful glowing face. 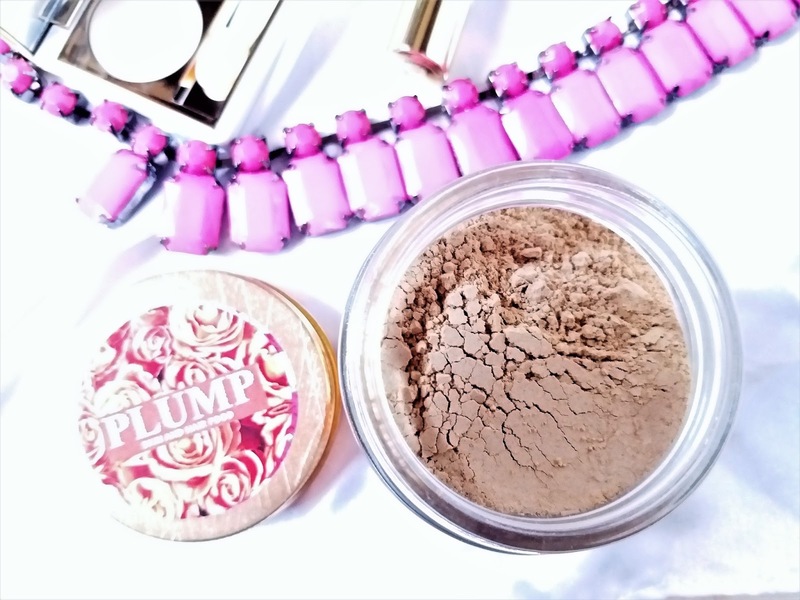 It can act as a wonderful product prior to applying makeup for a dewy illuminated look. Most of the time I do not apply any foundation or concealer when I apply this and directly move to eye and lip makeup. Check out the video down for my #NoFoundation makeup look that is followed after the 3 steps Brightening Face Regime with Plumpskinfood 3 steps ritual. This regime with 3 products from Plumpskinfood has made my skin quite clear and naturally radiant. The tanning has been replaced with a wonderful summer glow and I nowadays dare to stay away from my foundation/concealer application. 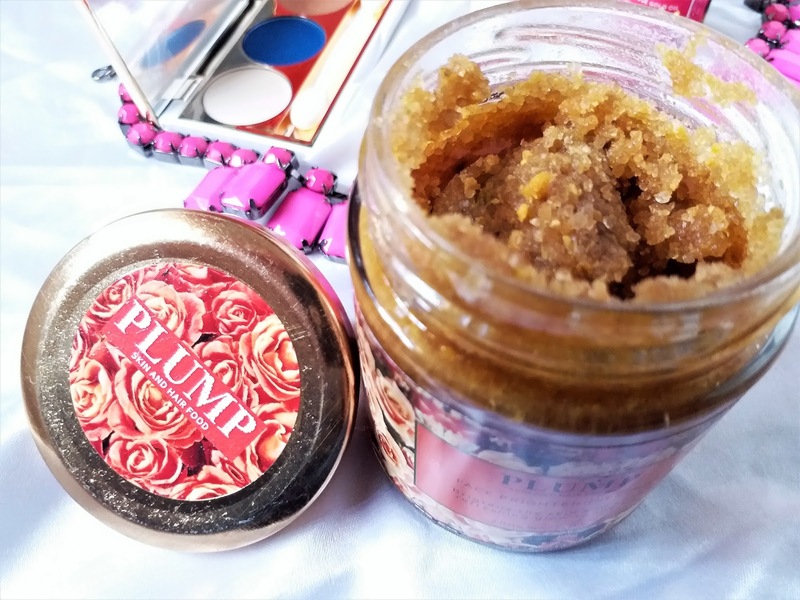 Plumpskinfood products are really impressive and work great to give a naturally radiant skin. The packaging is also quite luxurious. It is available at Amazon.